A former NDC branch chairman for Amenfi East in the Western region Robert Agyei has committed suicide. ‘Koliko’, as he is popularly known, reportedly shot himself last night at Bawdie. It is unclear why he took the decision. 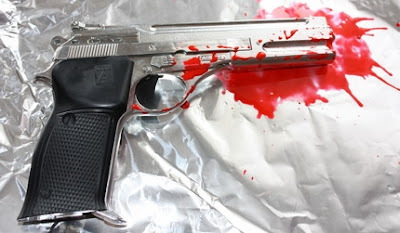 Confirming the incident to StarrFMonline.com Thursday, the Amenfi East district Police Commander Chief Inspector Forster Berko said the deceased appeared troubled months before taking his life. “ He has been troubled for some time now. He had an accident that affected one of his hands some time back, and since then, he remained quite worried and isolated ,” he recounted. He said the Police does not suspect foul play. The body has been deposited at the Prestea Government Hospital morgue.